The NHS collects health and care data from all NHS organisations, trusts and local authorities. Data is also collected from private organisations, such as private hospitals providing NHS funded care. Research bodies and organisations can request access to this data. 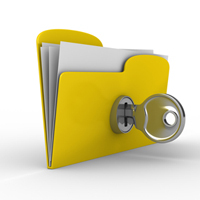 Confidential patient information is used to support the delivery of health and social care. (unless you specifically request this). You may use Your Data Matters online service, see link above: you can request a print-and-post form, to make or change your choice at any time. You can also request assistance or make your choice using our telephone service. If you do not wish to opt out, you don't have to do anything at all. To manage your choice online, you must be able to verify your identity. You can't do this if you haven't registered an email or mobile number with an NHS practice. Contact the NHS Digital Contact Centre to verify your identity and discuss your data sharing choices. We may be able to guide you through the service or set a choice on your behalf. If you are unable to use the online service for any other reason, you can use a paper print-and-post form to set a choice instead. You can also set a choice on behalf of another individual by proxy. For example, a parent may want to set a choice on behalf of their child.